The deadline for paper submission has been extended to May 1st, 2019. Please submit your abstract as soon as possible! If you are speaking/participating in the program, please complete both disclosures. If you are an AAOS member, please update your disclosure online here. Go online and key in https://book.passkey.com/go/gos2019. No code is needed! You can also call 800-732-4752 and mention you are attending the GOS annual meeting to receive the great low rate of $412.00 per night. Meeting registrations will be available online June 1st. Don’t miss this opportunity to hear great speakers, enjoy time with colleagues, and receive a minimum of 9-10 CME credits. Come and celebrate the 74th Anniversary of the Georgia Orthopaedic Society Annual Meeting! We are pleased to welcome the 2019 GOS Annual Meeting Presidential Guest Speaker, Steven L. Frick, M.D. 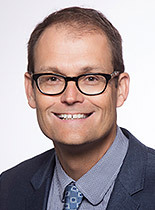 Dr. Steven L. Frick is a pediatric orthopaedic surgeon who joined the faculty of the Stanford University Department of Orthopaedic Surgery in December 2016. He was the founding Chairman of the Department of Orthopaedic Surgery at Nemours Children’s Hospital in Orlando, FL from 2012-2016. He also served as Surgeon-in-Chief and Chairman of the Department of Surgery. A native of Greenville, South Carolina, he graduated from The George Washington University and received his medical education at the Medical University of South Carolina. He completed orthopaedic surgery residency and a basic science research fellowship at Carolinas Medical Center in Charlotte NC, and a fellowship in pediatric orthopaedic surgery at Children’s Hospital San Diego. He served from 1998-2012 on the faculty and as Residency Program Director in the Department of Orthopaedic Surgery at Carolinas Medical Center. His academic interests include clubfoot and foot/ankle disorders, trauma, hip dysplasia, growth, leadership, professionalism, and graduate medical education. He has been honored with induction into the Eastside High School and The George Washington University Athletic Halls of Fame. He was selected by the American Orthopaedic Association as a North American Traveling Fellow (2001) and an American-British-Canadian Traveling Fellow (2007), and as a Leadership Fellow (2002-3) for the American Academy of Orthopaedic Surgeons. He is active in organized medicine, currently serving as the President of the Pediatric Orthopaedic Society of North America. He has previously chaired the Leadership Development Committees of both the American Orthopaedic Association and the American Academy of Orthopaedic Surgeons. He was the annual meeting program chair for the Pediatric Orthopaedic Society of North America (2010), and for the American Academy of Orthopaedic Surgeons (2013). He serves on the Question Writing Task Force for the American Board of Orthopaedic Surgery. He has also served on the Executive Committee of the J. Robert Gladden Orthopaedic Society (dedicated to promoting multi-culturalism and diversity in orthopaedics), and edits and reviews manuscripts for multiple orthopaedic journals. He lives in Redwood City, CA with his wife of 32 years, Lisa. Their son Eric is a graduate of the University of South Carolina and the George Mason University School of Law and practices in Charlotte, NC, and daughter Rachel is a graduate of North Carolina State University and is currently enrolled in the Temple University Occupational Therapy program in Philadelphia, PA.